I’m sure most everyone has walked into a store these days and noticed the Christmas displays that have been haunting the aisles for over a month now. We definitely don’t want to jump holidays and forget about Thanksgiving, but Saturday November 2, 2013 we made an exception. 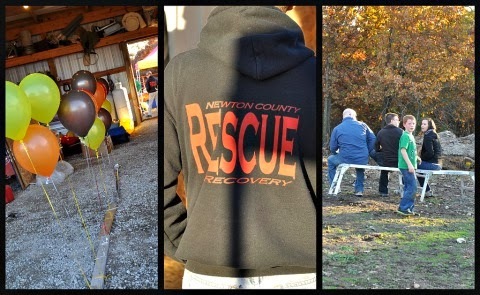 Over the weekend hubby, Tbug and I went to the first ever Newton County Christmas for Kids Bonfire and Chili Cook-off. 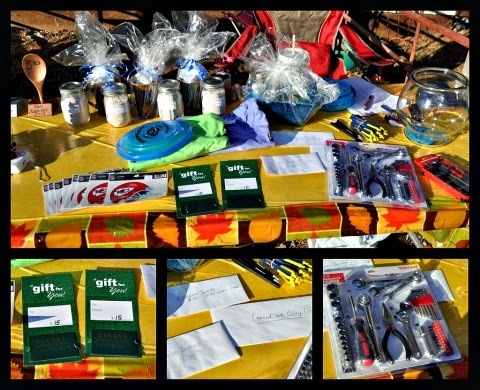 The event was created as a way to raise funds for the kids of Newton County. Chili cook-off contestants made a pot of their best chili, paid $10 to enter their chili in the cook-off and let the judges do their job. Hubby was excited to enter his chili. Saturday during the day Tbug went and hung out with my dad and she really wanted to make a chili to enter as well so dad helped her make chili and there were 2 entries from our house. 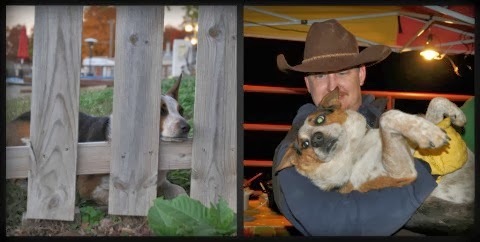 Tbug’s goal was to beat her daddy in the chili cook-off. I have to say, she accomplished her goal. And at the end of the night she just had 1 spoonful left. When she was going around telling people she made the chili, they’d look at me like did she really? I was like, yup. All my dad did was tell her how to do it and cut up her onions. 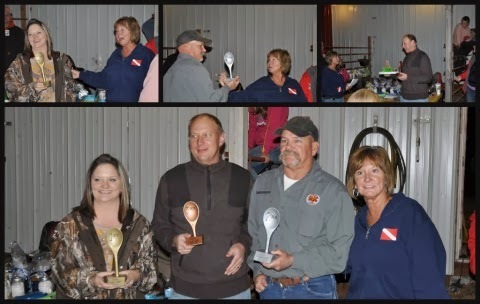 10 Contestants took their chance at winning the Gold, Silver and Bronze Spoons. Once all the entries made their way to the table it was time to let the judges do their thing. While the judges were judging, Grady and Jrod saddled up the horses and everyone took turns taking their ride around the pasture. 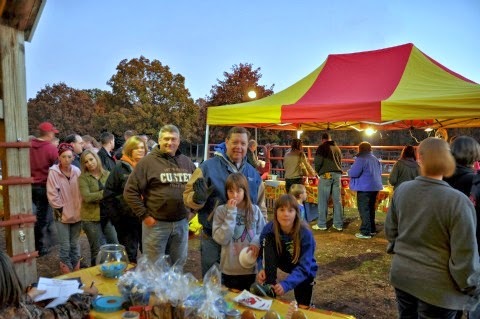 There was also a bonfire set up so you didn’t have to worry about getting chilly on this wonderful cool fall evening. Although you couldn’t have asked for better weather! 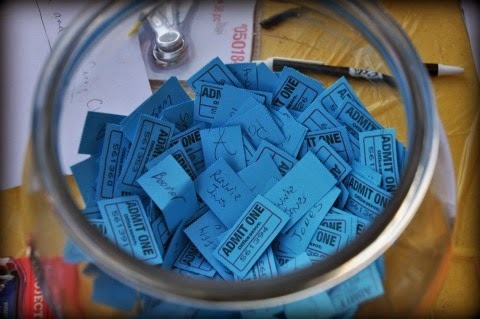 Those who didn’t want to enter the contest for prize winning Chili could buy raffle tickets and take their shot at a bunch of choice prizes. Hubby won a gift certificate and a KC Chiefs sticker (btw, after Sunday they’re 9-0). I won a Tshirt (and I didn’t even know my name was in there). Tbug won hot chocolate. Perfect things for all of us :). And don’t worry, after the Chili was judged, we got to eat. What can I say, we know how to eat. 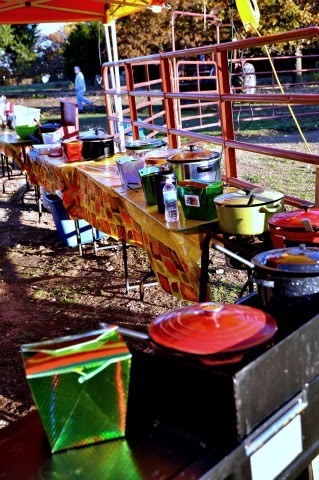 There was also stuff to make Frito or Tortilla Chip Pies, Corn Bread, stuffed jalapeno peppers and Desserts galore. If you left hungry, well it was your own fault. In the end, it is the kids who ultimately win! This was an event that was thought up and put together in 3 weeks. The goal was to raise $500. I’m proud of all the people who came out because with all the supporters, we raised $530 to go toward Christmas for the Newton County kids who deserve so much. I’m so excited that hubby, Tbug and I were able to go and participate and it was awesome that Tbug’s chili beat out hubby’s. I know this because helped double check the tally’s and I promise, I was honest and truthful, otherwise my 2 would have won… lol. I’m just pointing out I didn’t rig it. Sounds like a great day! So awesome that they exceeded their goal. 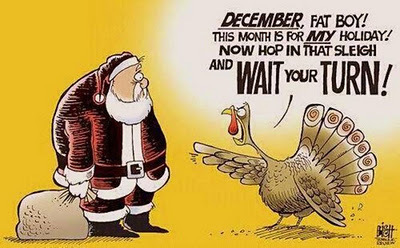 It is pretty annoying that Christmas stuff comes out so soon, I think it takes away from some of the excitement and fun as it just seems so common place as it is there so long. I think it is wrong that we have Christmas stuff in the stores in September or earlier. How Fun!! I love the idea of prancing around on a horse… I wish I had a horse.. I'm ready for Christmas! I wonder if we have Christmas stuff happening around town here now.. I've gotta look! 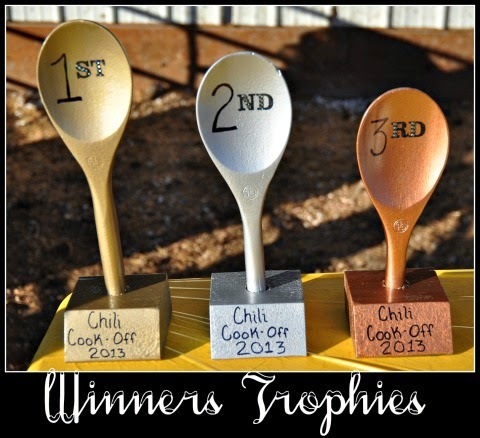 I'd do a chili cook off! Beautiful day for a get together.